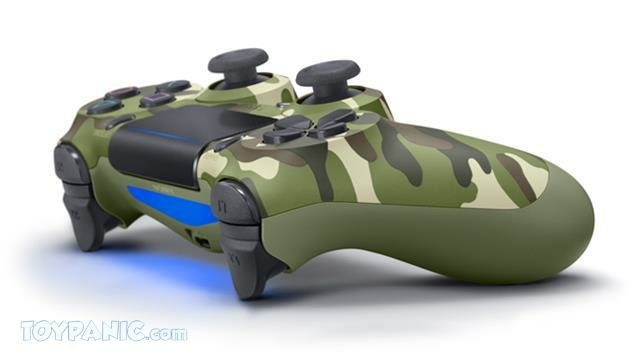 The DUALSHOCK 4 wireless controller features familiar controls while incorporating new ways to interact with games and other players. Improved dual analog sticks and trigger buttons offer an even greater sense of control, while the capacitive touch pad opens up endless potential for new gameplay possibilities. Experience the evolution of play with the DUALSHOCK 4 wireless controller. The addition of the Share button makes sharing your greatest gaming moments as easy as a push of a button. Upload gameplay videos and screenshots directly from your system or live-stream your gameplay, all without disturbing the game in progress. The feel, shape, and sensitivity of the DUALSHOCK 4’s analog sticks and trigger buttons have been enhanced to offer players absolute control for all games on PlayStation®4. Located on the top of the controller, the TouchPad offers gamers completely new ways to play and interact with games. Four color LEDs offer a simpler way to easily identify players and quickly see useful game information, like when a character is low on health or has taken major damage. Enjoy high-fidelity sound effects of games from both the TV and also from the controller. Chat with friends playing online with the bundled headset. Chat with friends playing online with the bundled headset. Rock and roll as a highly sensitive built-in accelerometer and gyroscope detect the motion, tilt and rotation of your DUALSHOCK 4 wireless controller. 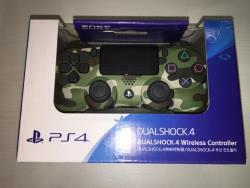 The DUALSHOCK 4 Wireless Controller can be easily be recharged by plugging it into your PlayStation 4 system, even when on standby, or with any standard charger with a micro-USB port. "Have received the parcel in good condition. Thank you." "Again, Toypanic does not fail to satisfy me. Upgrade delivery and Item was arrived in good condition. Really appreciate it!" "Thanks for the fast shipment. The prime have arrived safely."